More workers will enjoy guaranteed overtime pay and other protections related to working hours in the upcoming Employment Act review, said Acting Manpower Minister Tan Chuan-Jin on Thursday in Parliament. Currently, a special section of the Act which deals with issues such as working hours and overtime covers manual workers earning up to $4,500 and other workers earning up to $2,000. But when the Act is changed later this year - to take effect in 2014 - the salary ceiling for non-manual workers will be raised to $2,500. This means about 150,000 more workers will be covered by this section of the Act, and will be eligible for overtime pay if they do work overtime, said Mr Tan. To help employers manage their costs, however, the amount of overtime payable will be capped at a salary level of $2,250. This means that workers earning from $2,250 to $2,500 will get the same overtime rate of $17.70 per hour. The Ministry of Manpower (MOM) has announced cha nges to the Employment Act (EA) which will ensure better protection for mo re workers - including Professionals, Managers and Executives (PMEs) - and raise employme nt standards, while allowing flexibility for employers. 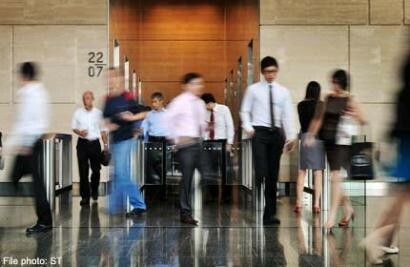 These changes are the outcome of Phase 1 of the Employment Act Review consultation. Feedback was obtai ned through several platforms, including an eight-week public consultation exercise. The proposals were also carefully evaluated by employers, unions and the Government. Acting Manpower Minister Tan Chuan-Jin said, "I would like to thank all stakeholders and members of the public who had take n the time and effort to share your valuable views with us. The varied perspectives hav e made the review process more robust and comprehensive. More importantly, they ha ve also helped us hone policy changes which ultimately strike a balance between p rotecting workers and addressing employer's concerns, even as we achieve better outc omes for Singaporeans". The salary threshold of non-workmen will be raised from $2,000 to $2,500 for them to enjoy working hours-related protection, including overtime payment. About 150,000 more workers stand to benefit from wo rking hours-related protection. However, to help employers manage costs , we will cap the amount of overtime rate payable to non-workmen at the sala ry level of $2,250. Beyond the salary protection already accorded t o PMEs earning up to $4,500, they will also be protected under the general provi sions of the EA (e.g. sick leave benefits and protection against unfair dismis sal). About 300,000 PMEs will benefit from this change. In order to provide a reasonable time for employers to assess the suitability of their employ ees, we will set a qualifying service period of one year for these PMEs before th ey are eligible to seek redress against unfair dismissal. Taken together, about 450,000 workers would receive better protection with the above EA amendments. We will also introduce other measures to raise e mployment standards without imposing too much rigidity in the labour market. Th ese include mandating payslips and detailed employment records, and introducing sub-ca ps to prevent excessive salary deductions and shorter qualifying periods for retre nchment benefits. We will also introduce other measures to raise e mployment standards without imposing too much rigidity in the labour market. Th ese include mandating payslips and detailed employment records, and introducing sub-ca ps to prevent excessive salary deductions and shorter qualifying periods for retrenchment benefits.